Generally, many topics about newspapers analysis had been captured from different angles by many researchers. Some researchers studied about newspaper articles (O’Halloran, 2007; Mustafa, 2010; Oenbring, 2010; Buja, 2010; Demberg, 2014; Agu, 2015) while others were interested in newspaper headlines (Lee, 2012; Alireza and Samuel, 2012). Both Oenbring (2010) and O’Halloran (2007) used corpus linguistics method for their research. Oenbring (2010) focused on comparing the features of Bahamian Creole to international variants of English, specifically British, American, and Jamaican English on the newspapers reportage which were analyzed in the level of the keywords and word counts, whereas O’Halloran (2007) conducted a case study which examined how metaphors at the level of register in texts, mainly hard news texts could imply certain values. The study was analyzed using critical discourse analysis (CDA). In the same way by using corpus-based linguistics, Agu (2015) applied stylistic approach to analyze reportage which focused on the corruption stories about the unspent three hundred million naira 2007 budgetary allocation to the Federal Ministry of Health on three daily newspapers: Daily Sun, Daily Trust and Leadership. The data were taken from newspapers reportage that published between 1st and 31st May, 2008. He investigated the choice of lexical items and the writing style used on five reportages. Similarly, Demberg (2014) investigated sexism language-based phenomena in The Daily ­Mail online newspaper using feminist stylistic approach to analyze 162 articles. In analyzing the data she tried to discover the use of gendered generic words, naming of women and men, the use of titles, how female and male characters are described, and examined the role of journalist gender. Furthermore, Mustafa (2010) has explored pragmatic inference of implicature in a set of categories that were gathered from journalism articles in the form of new stories. The articles were selected from different cosmopolite channels randomly. On the other hand, Buja (2010) examined an article from a Romanian satirical newspaper, Academia Caţavencu discussed with discourse-as-process based on Widdowson’s view (1979). She focused on three main aspects of the article, namely, the role of context, topic and the representation of discourse content, and the nature of reference in text. Focusing on studies about newspaper headline, Lee (2012) addressed the similarities and differences between headlines of English political news in America and those in Korea. It dealt with 200 headlines online news as the data, 100 headlines for each country. The collected data are classified in terms of structural patterns of the headlines. Alireza and Samuel (2012), on the other hand, conducted a contrastive textual analysis on editorials English newspaper, The New York Times and Tehran Times. The study explored the kind of textual and rhetorical strategies on the two newspapers headlines for spreading preferred ideologies. The researchers have selected 40 editorial headlines then analyzed the data using textual analysis, presuppositions, modality and also rhetorical strategies. Since the previous studies mostly took the data from non-online newspapers and they have not really concerned to diction of the newspaper texts. For this reasons, I consider conducting research on comparing diction of online newspaper texts. Echoing the previous studies which focused more on certain issues of news, I choose terrorists portrayal to be topics of this present study. Due to the fact that terrorists have become one of serious problem in the world, issue of terrorism comes out to be one of topics in the news media. Especially, on the online newspapers since this age becomes technology era when any information can be searched in one click. The issue around terrorist has been explored by Min (2007) and Spencer (2012). 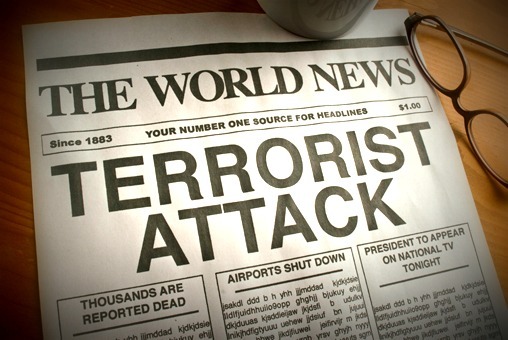 Min (2007) focused on analyzing interaction of image and text in two newspaper articles which the theme was “terrorist threat” from Sydney Morning Herald. While Spencer (2012) concentrated on the social construction of terrorism seen in a British tabloid media discourse on terrorism between 2001 and 2005 in The Sun newspaper by applying metaphor analysis. Nonetheless, Baker, Gabrielatos and McEnery (2012) used methods from corpus linguistics and critical discourse analysis to examine patterns of representation around the word “Muslim” in a 143 million word corpus of British newspaper articles published between 1998 and 2009. The findings were quite surprising. In all of the articles collected to create the corpus, words relating to terrorism (terror, terrorist, terrorists, terrorism) were actually more frequent than words relating to Islam (Islam, Islamic, Islamist, Islamists). Besides, tragedy 9/11 even makes the condition between Muslims and non-Muslims worst. Non-Muslim people in west countries think that terrorists are always Muslim. This impression might be because there is a term of “jihad” in Islam belief. For this reason, Muslims are judged as terrorists. Furthermore, many films have represented terrorists mostly related to Muslim. Such as American Sniper, New York, the Hamburg Cell, Homeland Security, DC 9/11: Time of Crisis, Flight 93, United 93, Babel, Four Lions. On the other hand, there was a film that expressed Muslim feeling who always be judged as terrorists. My Name Is Khan was a film that represented if Muslim constantly judged as terrorists. The film was captured from Muslim point of view while the others were seen from non-Muslim side. Linguistically speaking, terrorist portrayal is an interesting issue to be raised. Unfortunately, this issue has not investigated further. Since the latter research had not explored and compared Indonesian and American news regarding the terrorist issue. I will explore the topic regarding terrorist issues found in in both Indonesian and American diction of online newspaper texts. The 9/11 tragedy truly makes a big impact for American people and also Muslims in the world. Because of this tragedy, Muslims are accused as the subjects who committed hijacking the plane. No longer, the word terrorist attaches to Muslims. This issue of course becomes news on newspapers. The problem comes up whether the media really objective to see this issue or even make Muslims push in a corner. Due to the sensitive and significant issue, I would like to investigate specifically the use of pronouns, nouns, adjectives and adverbs in portraying terrorists seen in Indonesian and American online newspapers. I decide to compare Indonesian and American online newspapers because I want to see terrorist representing from both sides which are Non-Muslim and Muslim countries. 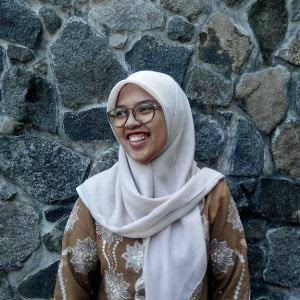 The purpose of comparing the Indonesian and American newspaper is to see how Indonesian and American online media represent terrorists through the diction of newspaper texts. Generally, every website has different style in performing their news. News from CNN was totally different with news from Kompas. Newspaper texts from CNN were quite deep and long articles while news from Kompas mostly only gave the surface information. From the 12 articles that were taken from every website, news from CNN could reach more than 1000 words for one news article while in Kompas for the longer articles only about 900 words. In my view it could be because the news from CNN gathered directly from authorities and people near the incident’s places while news from Kompas mostly citation and translation from the international online newspapers like CNN itself, BCC, Reuters and etc. since the news from CNN was longer, news texts of CNN had 5.566 words with 1.364 word types. However, Kompas with 2.500 words had 754 types of words. Since the data have been classified into words by Antcont software, the researcher still categorized the diction that was used to portray terrorists. In the main, I equally found three parts of speech that related to terrorist portrayal in both online newspapers that were nouns, verbs, and adjectives. Even though, there was a big difference in amounts of words actually there was no significant difference related to the diction that portrayed the terrorists. I found 51 words in CNN news which portraying terrorists. On the other hand, I got 52 words which included as describing terrorists in Kompas news texts. From three parts of speech found in both online newspapers, the nouns were the highest frequency showed than the other parts of speech. There were three kinds of noun found from the data; those were names of people, places, and actions. In portraying the terrorist, both CNN and Kompas did not directly state that the terrorists who did action of terror in the three cases referred to Muslims. We can see that the name of perpetrator, terrorist group, and several names that indicate to Muslim identity are mentioned frequently in both online newspapers. In addition, those words refer to the words of terror, terrorism and shooting. In conclusion, both online newspapers do not directly describe Muslims as terrorists. They only mentions without further explanation but the names that they mention are mostly Muslims names and always closely related to terrorism and violent actions. The reason might be the Muslims are surely the perpetrator or the media intentionally represents Muslims as the terrorists which may lead the news as propaganda to make image of Muslims bad.